HURRY! Sale is limited to stock on hand! No rain checks will be issued. Quantities are limited so don't delay! 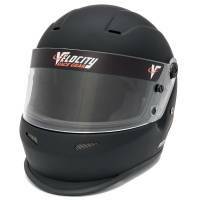 Carbon Fiber helmets offer weight savings over traditional shells. 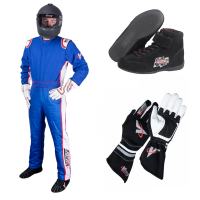 The Velocity 1 Sport Glove is designed to provide the racer with a professional looking auto racing glove with best-in-class features at a price that offers the best value in racing. The Velocity 5 Race Glove is an external seam glove that features a double-layer, all Nomex? (R) construction and meets or exceeds SFI 3.3/5 (SFI-5). Pit Stop USA is The Online Motorsports Superstore! 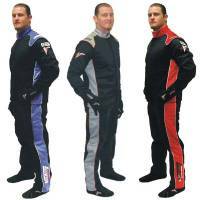 Velocity Race Gear Race products are made from the highest quality flame retardant materials. Velocity Race Gear products are designed to provide the racer with a professional, custom looking auto racing safety equipment with best-in-class features at a price that offers the best value in racing. 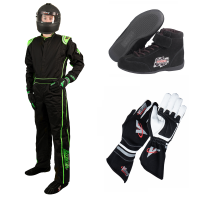 Velocity Race Gear auto racing suits, shoes and gloves offer more features than than the others at a price that won’t break your racing budget. 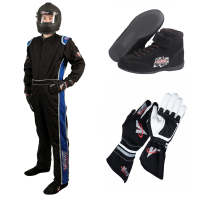 Velocity Race Gear…RACING TO WIN! We feature Velocity Race Gear products at low everyday prices!